This necklace is delicate and stunning. 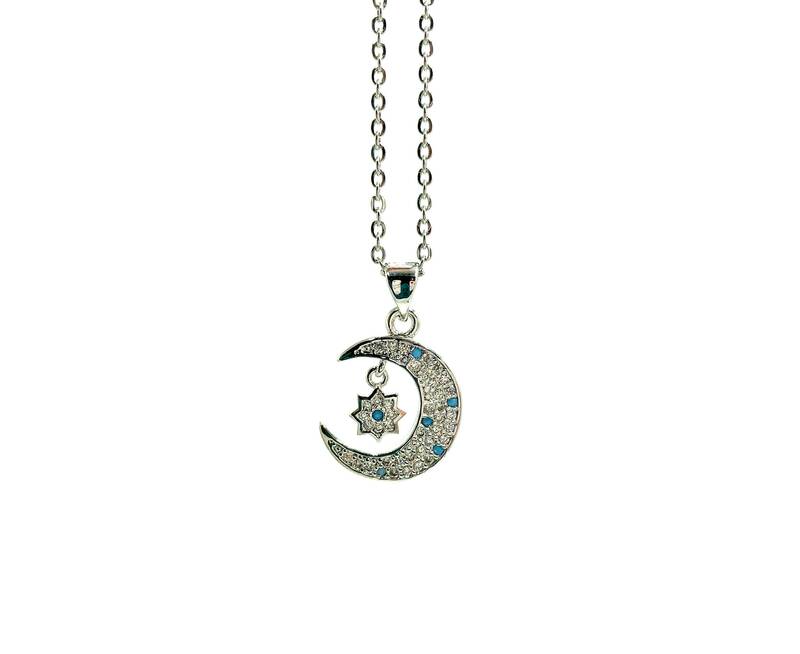 Features white and blue pave crystals and a dangling star. Length is 14 inches with additional 5 inch extender. Lead and nickel free. Stainless steel chain.